If you guys hear the name T-ARA, everyone will remember the South Korean girl band whose members are beautiful women who also have great likable songs. This girl band who debuted in 2009, started with only 5 members and released their first song Good Person as an original soundtrack for a famous Korean Drama at that time, Cinderella Man. 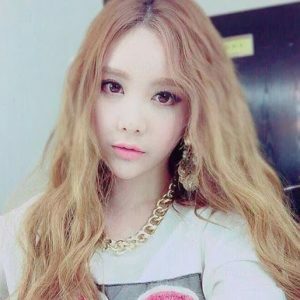 Sadly, two of the members, Jiwon and Jiae, quit from T-ARA because of certain reasons. Not long after, Core Contents Media introduced new members, to replace the old members who had quit. 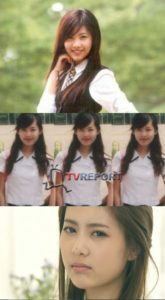 As we know, those new members are Boram, Qri, Soyeon, Ryu Hwayoung, Dani, and Ahreum. But another not so happy moment came again to T-ARA, Hwayoung decided to quit at that time. That was a sad moment but it didn’t impact their performance in front of audiences. They were getting bigger in the music entertainment industry. Their success was proved in 2011 when T-ARA was asked to sign a contract with a Japanese label and make a debut there too. And right now, T-ARA’s name is under Universal Music Japan. Wow, T-ARA went international! As we know, apart from the good music quality that T-ARA has, the group is also famous for its pretty and fashionable members. One of its favored members, a girl who has a pretty, doll-faced appearance is Qri. You guys must be very curious about her profile and some facts about her. So here it is! No matter what she did, it’s her decision and as her fans, we have to always support her. She also still looks like a baby doll! As we know, Qri’s height is 163 cm (5’4”). She is shorter than all the other members, except Boram, who is 155 cm (5’”) tall. Most of the members’ height is between 163 and 167 cm, so we can conclude that Qri and Boram are the mini girls of the group. There are some photos of them together and let’s compare their height guys! As we know, many Korean stars constantly change their hairstyles, whether in terms of different colors or in terms of shape. And most of their hairstyles immediately become the current trends and go viral reaching every corner of the world in the entertainment industry. Our favorite, Qri, also experiment with different hairstyles and they always suit her well. She even had changed her hair into pink and she looked like a baby doll! Wow… You guys must be so envious of her because of her face and appearance who always fit in every single type of hair! See guys? No matter how long or short her hair is, or what color it is, she still looks awesome and pretty!